Q&A: Why is market shaping an important force in global development? Market shaping is a growing practice at R4D that spans projects in health, education and nutrition. Before we get into some of the projects your team is focused on, can you share a quick summary on market shaping and explain why this approach is used in global development? Cammie: That’s a great question. 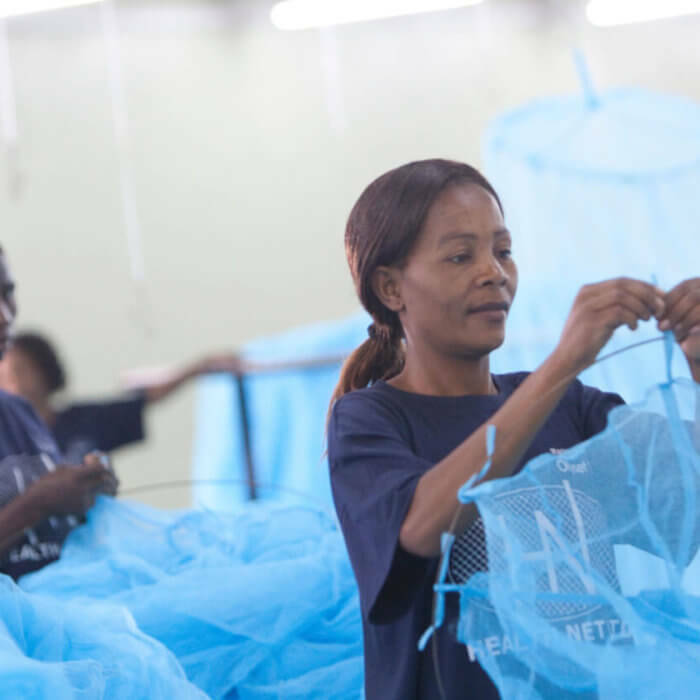 Market shaping is, I would say, a method or a practice that’s really focused on increasing access to essential commodities, like insecticide-treated bed nets to prevent malaria, nutritional supplements or educational materials. At R4D, our market shaping team is also focused on improving appropriate use of these products. Our work in market shaping spans both the public and private sectors. We focus on a particular lifesaving commodity at a global level and in high-burden countries, and assess market failures to understand why it’s not more readily accessible. Some of the symptoms of market failures may be low availability in places that need them the most. It may be that they’re available, but they’re priced too high — or, maybe they’re available and also affordable for low-income populations, but the product quality or design is poor — or, if appropriately designed, high quality affordable products are available, there may be low awareness of the product or they may not be appropriately used. In some markets, regulatory bottlenecks could prevent access to essential commodities. For instance, to ensure patients get a given medicine, it typically has to be included on the World Health Organization’s (WHO’s,) as well as countries’ national or sub-national Essential Medicines List — a list that defines all priority medicines. Treatment guidelines would also need to be updated with the medicine to ensure that all relevant healthcare workers can provide it to their patients. Here, we would work on facilitating updates to those regulations to transform access to essential commodities. 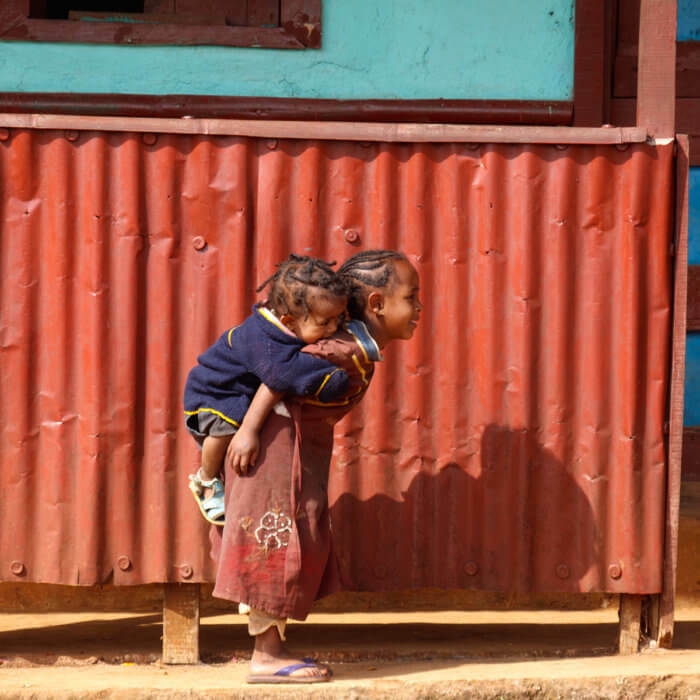 Since 2015, R4D has been working alongside the national government in Ethiopia and other partners to make childhood pneumonia treatment more accessible . In other instances, we may find that policies and guidelines have been updated, but the global-level purchaser of that lifesaving product is not procuring sufficient volumes to meet the demand. Without robust forecasting of demand and distribution planning, a patient may arrive at a clinic and find that it does not have their needed diagnostic tool or treatment available. Conversely, overstocking — and hence, wastage through expiries or lack of use — can occur when forecasts are inaccurate. In this way, we continue to look at underlying bottlenecks and analyze them. This really allows us to thoroughly understand all the market barriers and devise holistic solutions that lead to sustained access to a given commodity. So, once you’ve analyzed underlying bottlenecks across the various points of the market, what do you do with that information? There’s also a potential where, for example, there aren’t enough suppliers in the market and you need to make a business case for them to enter the market. This involves estimating market sizes or forecasts to improve visibility for suppliers and incentivize them to enter the market. This type of information on medicines and nutritional products used is readily available for high-income countries, but is quite limited for low- and middle-income countries. And once these analyses and strategies are developed, the focus then shifts to implementation. Yes, exactly! It’s great to do the analysis and to have the strategy developed, but if it sits on a shelf, it’s not going to lead to any impact. So, the goal is to really catalyze the implementation of those strategies. The other piece is around evidence generation for continuous learning. Within market shaping, our theory of change is that if you do X, Y and Z market shaping work at the global or the national level, you can improve access to these commodities at frontline health facilities or various points of care in general. And we’re very interested in measuring whether that change occurs and the extent of that impact. It’s something that we’ve been committed to for a long time, but our team has really delved into it in detail over the last two years. Evidence generation, in general, is part and parcel of our market shaping practice. That’s interesting. Can you tell me a little more about evidence generation, and why you see it as one of the hallmarks of R4D’s market shaping practice? For example, with diseases like malaria or HIV/AIDS, there is a specific diagnostic test that can be administered to identify whether you have the disease or not. But there are a lot of other disease areas that are more complex and diagnosis can be much more challenging. With childhood pneumonia, for instance, diagnosis is a particular challenge because it has no biomarker. It’s a respiratory condition that has to be identified based on clinical symptoms in settings where chest x-rays are inaccessible. To that end, the World Health Organization (WHO) codified a clinical algorithm that health care providers are supposed to walk through to diagnose pneumonia, for instance, count breaths to check for fast-breathing. But the reality is that many providers aren’t trained in WHO algorithms such as Integrated Management for Childhood Illness (IMCI) or Integrated Community Case Management (ICCM,) or trainings can have mixed results. Therefore, diagnosing pneumonia accurately is a big challenge in many low-resource settings and something that the global health community is also currently grappling with. Moreover, it’s not just about correctly diagnosing and providing appropriate treatment to reduce pneumonia-related deaths, but also about ensuring a more rational use of antibiotics over the long term so that resistance doesn’t develop in children and have knock-on effects as they grow up and encounter other diseases where antibiotics are also critical. As part of this work on evidence generation, we worked with our government partners in Tanzania to conduct a clinical diagnosis study. In particular, we measured the rate of correct and missed diagnoses of pneumonia. And, through iterative testing, identified and piloted interventions, such as mentoring, the use of visual aids and mobile messaging, toward improving health provider knowledge and behavior and ultimately drive increased appropriate diagnosis of childhood pneumonia. You’ve provided some good examples on the pneumonia work. Is market shaping specific to health-related commodities? If not, can you provide an example or two of how you and your team have used this approach in other practice areas, such as education and nutrition? Market shaping is not specific to health. We’ve done a lot of work in education and nutrition and believe that these market-based approaches to increasing access to commodities can be used in any setting. The approach is somewhat sector agnostic. In education, for example, we worked to explore some of the underlying challenges of getting supplemental reading materials, like story books (as opposed to textbooks) to children in local languages. This work was part of a larger feasibility study we worked on with R4D’s education team to see if a new global mechanism was needed to address this issue in low- and middle-income countries. And it informed the launch of the Global Book Alliance, which works to build sustainable markets for the provision of reading materials produced in languages children speak and understand. In nutrition, we’ve done a lot of work in analyzing market barriers and developing solutions to increase access to commodities, such as micronutrient powders and iron and folic acid supplementation. At the end of the day, when we’re talking about decreasing child mortality, almost half of these deaths occur in children who are also under-nourished. So, talking about health and nutrition as separate sectors is a bit of a false dichotomy, because they’re extremely interrelated. Increasing access to commodities that will help treat malnourished populations is as important as increasing access to medicines to treat a specific disease area. And if you can actually, really treat issues around malnourishment, you can — in terms of value for money — save the health system a ton of resources at the end of the day, because people won’t have to seek care for the knock-on disease areas that they’re more susceptible to because they’re malnourished. That makes a lot of sense, and it’s interesting to hear about the cross-cutting nature of this market shaping work. Are there any other areas the market shaping team is excited to tackle in the coming years? I think we’ve been able to really codify these two additional technical approaches around catalytic implementation and evidence generation, which complements the bread and butter of market analysis and strategy development that the practice area was initially founded upon. So, we’re excited about continuing to refine and improve on this work with our partners to find different ways that we can support global actors and country governments to think about market shaping and ensure those solutions are integrated into a broader health or education system. Ultimately, we would love to work with governments to support them in proactively shaping markets for lifesaving products in a cross-cutting and integrated systems manner, so that they’re better able to do this work themselves moving forward. Thank you, Cammie, for taking the time to share more about the market shaping practice! We’ll stay tuned for upcoming blogs on how your team is working with local change agents in in Ethiopia and Tanzania to increase access to childhood pneumonia treatment.